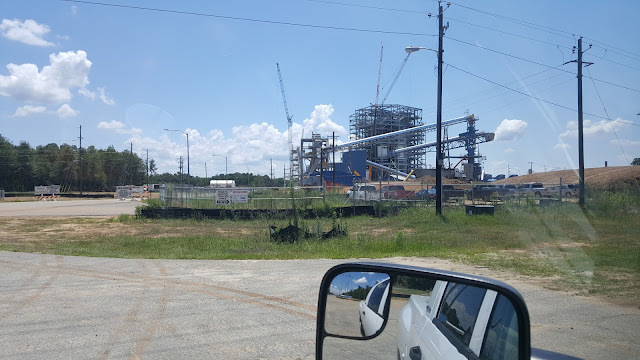 Today during my lunch break I want out to the Albany, GA P&G site to check out the new construction of the biomass energy plant. It looks like it is going along as planned. Here is the official story. ALBANY, Ga.–(BUSINESS WIRE)–The Procter & Gamble Company (NYSE:PG) and Constellation, a subsidiary of Exelon Corporation (NYSE:EXC), today announced the development of an up to 50-megawatt biomass plant that will help run one of P&G’s largest U.S. facilities. The plant will significantly increase P&G’s use of renewable energy, helping move the company closer to its 2020 goal of obtaining 30 percent of its total energy from renewable sources.